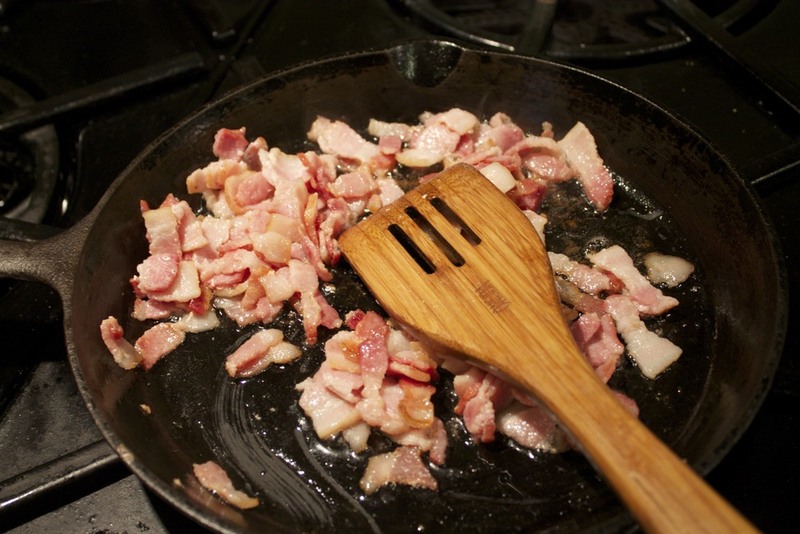 Start by cutting the bacon into small pieces and rendering it in a skillet until cooked. Remove and drain on paper towel. 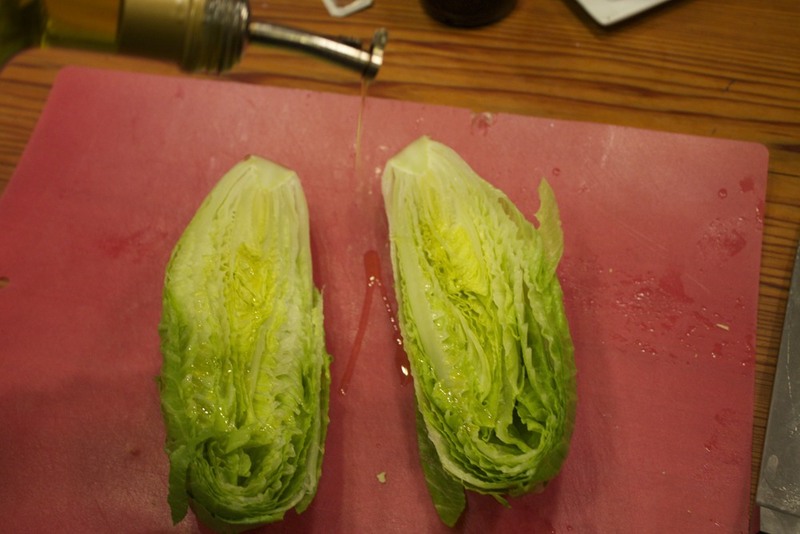 Slice each head of Romaine in half lengthwise. 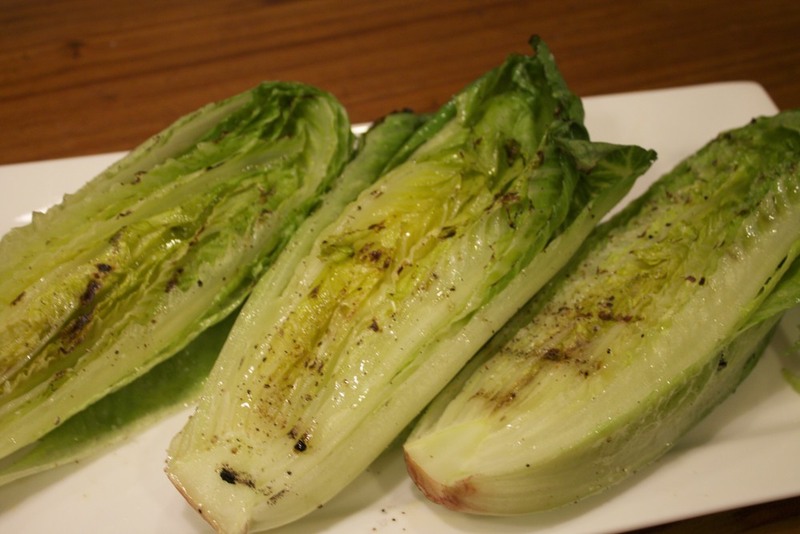 Drizzle both side of the Romaine with olive oil then season with salt and pepper. Put each half on a hot grill, just until it is seared. If your grill is good and hot, this shouldn't take more than a minute. Turn and grill the other side. 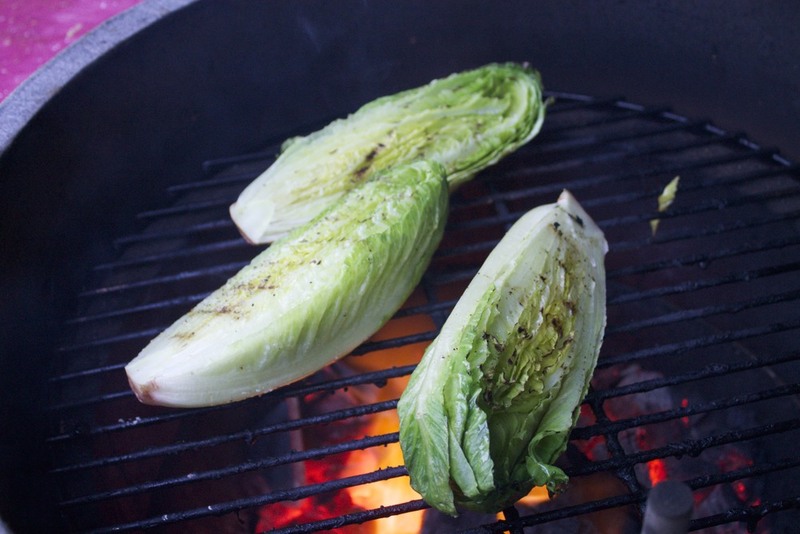 All you're trying to do here is get some grill marks and smoky flavor. 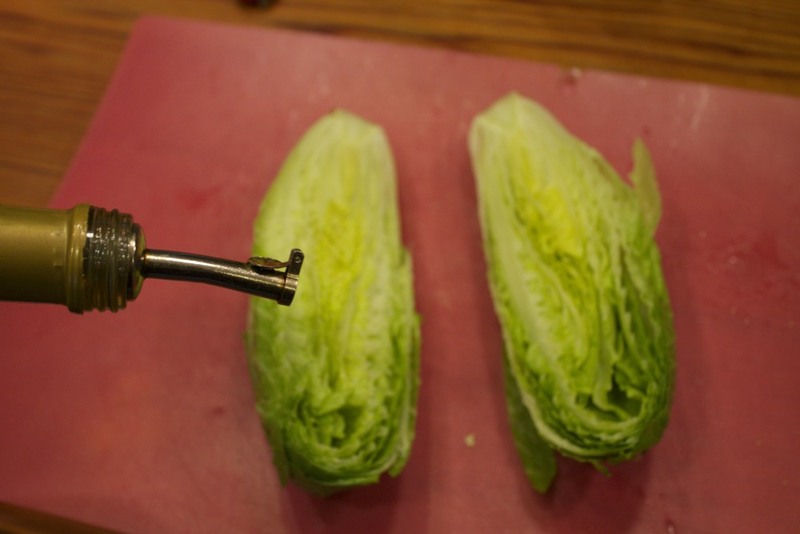 You still want the lettuce to be crunchy. 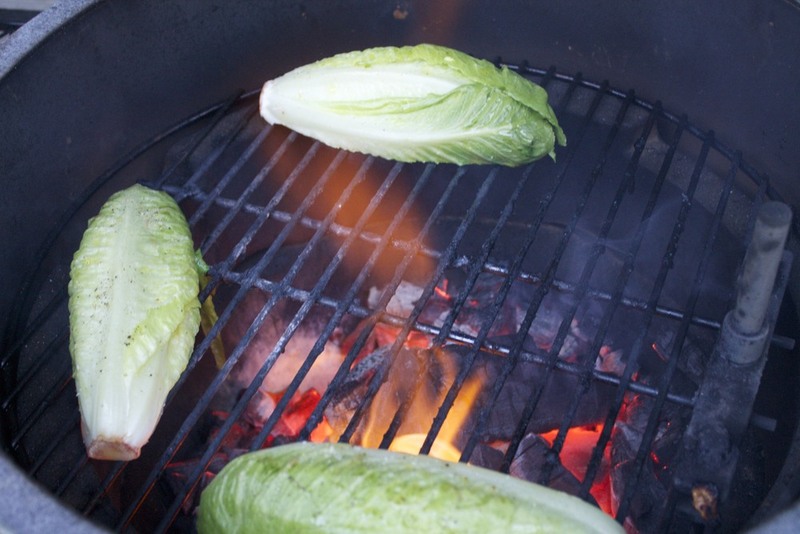 The total time on the grill should be less than 3 minutes or it will start to wilt and get soggy. Now it's time to dress it. 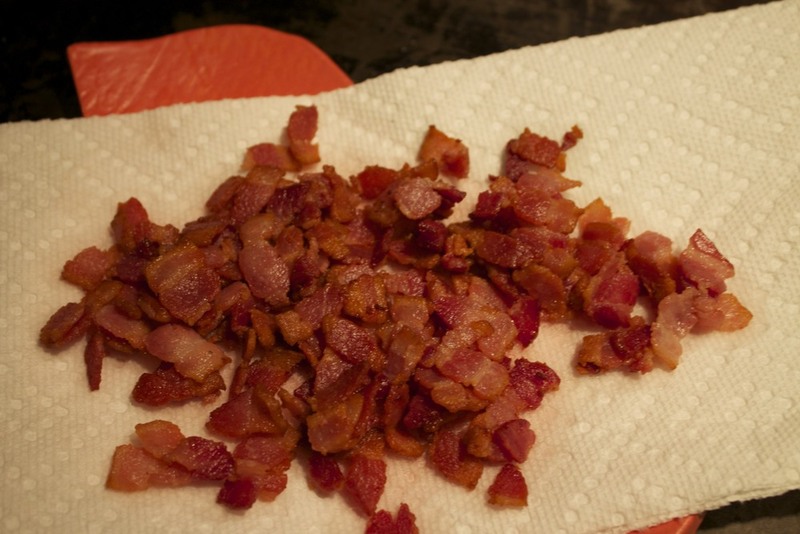 Sprinkle on the grated parmesan cheese, then cooked bacon, then drizzle a little balsamic vinegar on top. Now it's ready! The first question I usually get when I serve this is "How do I eat it?" I think the easiest way is to just pick it up with your hand and bite into it. Kind of like eating a hot dog. 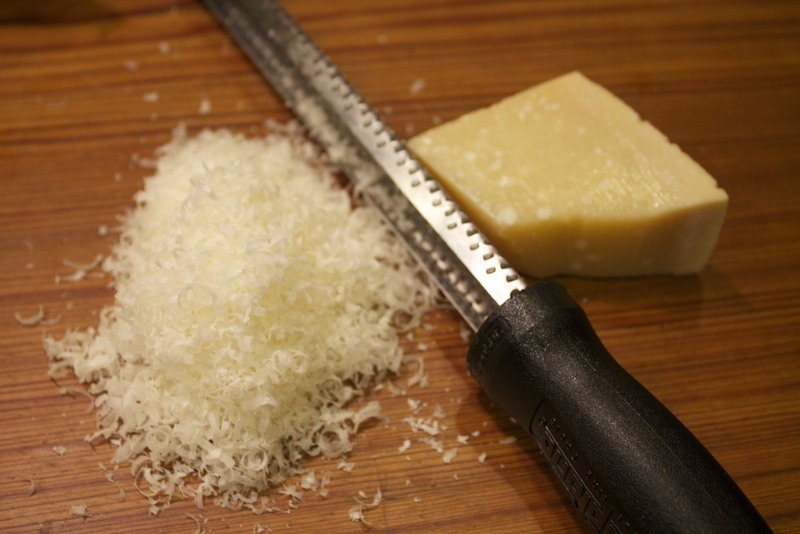 Of course it's perfectly okay to use a knife and fork and cut it if you prefer. 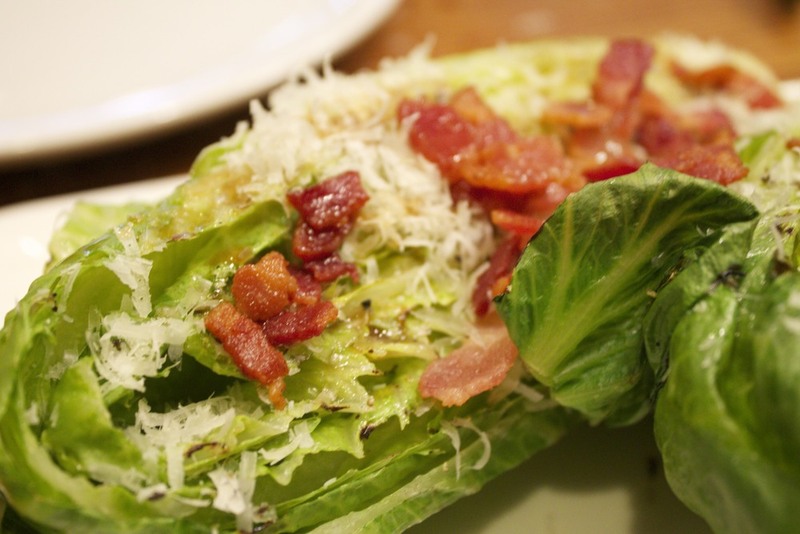 Either way, I promise you will get nothing but compliments when you serve this salad. 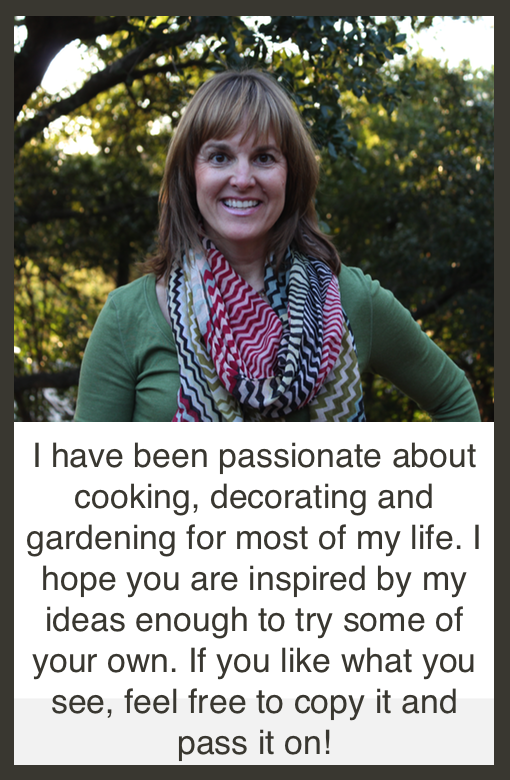 Posted in In The Kitchen and tagged with Romaine, grilled, salad. May 16, 2013 by Lynn Adams.